I lived outside of Atlanta for 19 years but always hated running. Therefore was obviously never interested in running the Peachtree Road Race. It’s held every year on July 4th – a 10K – complete with heart attack hill. So even though I’ve done numerous races since I’ve actually enjoyed running, I had to put this specific race on my 101 list. I stayed with Tess the night before since she’s the Peachtree pro. We took MARTA to Peachtree Road and got in the masses. Oh, did I mention this is the largest 10K in the country? Although they were a annoyingly bossy about the corals (I had to go in the last coral since it was my first time running), it was a great time. Tess and I walked most of it and jogged sporadically. It was actually cooler than it had been – only 95 degrees ;). I’ll run one more year so I can run the whole thing, but probably not something that I will make a tradition. 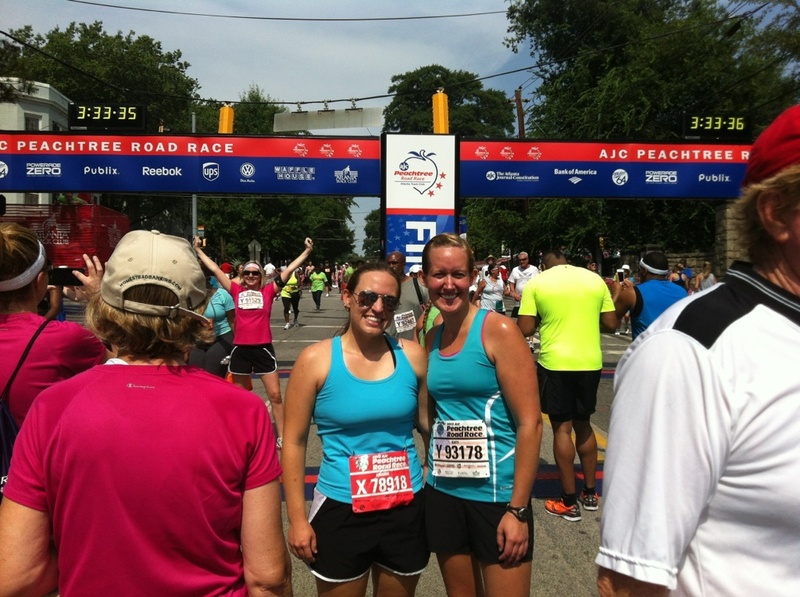 Categories: Thrilling Thursday | Tags: 101 in 1001, Atlanta, Peachtree Road Race, running | Permalink.